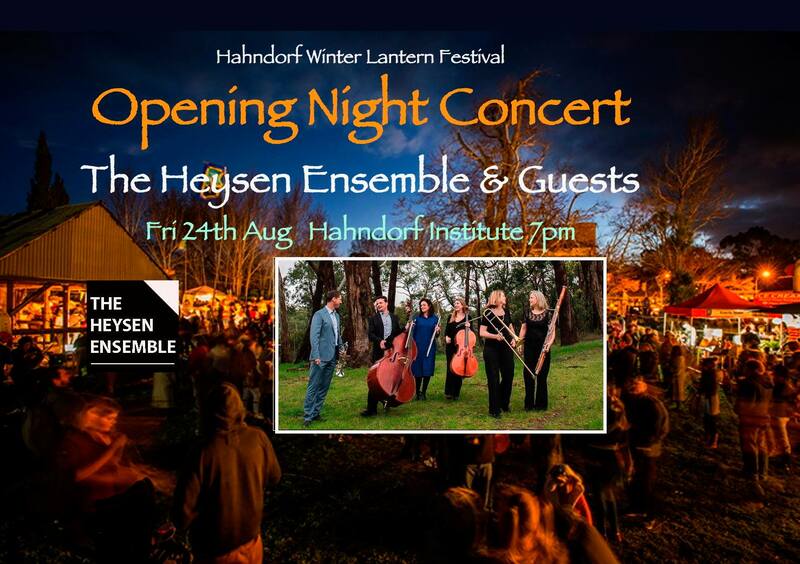 The Heysen Ensemble are professional musicians living in the Adelaide Hills. They aim to perform high quality chamber music in historic buildings across the Adelaide Hills and promote artisan produce at concerts. Tickets also available from Hahndorf Academy. 200 seats only so booking beforehand is essential. The program will include solos, duets, trios, quartets and the whole ensemble, a wonderful sampling of accessible chamber music. Instruments include: trumpet, trombone, flute, bassoon, cello and double bass. Special guests: some talented students that will join the Ensemble to perform in the second half of the concert. 59 Mount Barker Rd, Hahndorf SA 5245.